The Trailblazers Club opened its first trail behind the school and students learned the process of engineering and designing by participating in the Dyson Foundation Project. 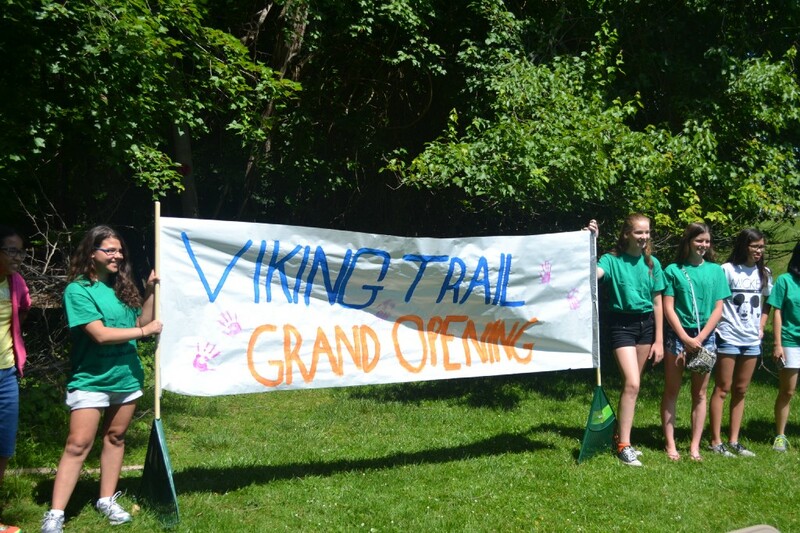 It was months of hard work in the making, but it in the end it all paid off when the Voorhees Middle School Trailblazers Club opened its first trail behind Voorhees Middle School in June. The idea for the trail and the club stretches back to the spring of 2015 when Voorhees Middle School social studies teacher Dave Thompson was chatting with his students about a lack of trails in Voorhees Township. Eventually those conversations turned to planning, and Thompson and his students started their own after school club to turn the plans into action. For months the club met after school weekly to discuss their ideas, which eventually turned into .6-mile-long trail behind Voorhees Middle School that connects to the Stafford Tract open public space land behind the school. The club did not use any public funds for their project, and only ask the township for permission to do the work. According to Thompson during the opening ceremony for the trail, the kids just wanted to make a difference in their community. The club was further honored for its work when in September the Camden County Freeholders awarded the club with a special proclamation honoring the club’s first trail. During the meeting, Freeholder Susan Shin Angulo thanked the group and praised them for the future works she said they would surely complete. Several sixth-grade students had to think outside the box for this unique project that involved going through the process of what an engineer is and designing. Each student received an ideas box, which came with a Dyson product a booklet of lessons and DVDs showing engineers from the Dyson company at work. In addition, the students came up with ways to change a product to make it work in a better way and figure out how to work collaboratively in a productive way. The students also received motivation and helpful information about entrepreneurship from Aaron Krause, a Voorhees resident and inventor of numerous household products including his most popular one, Scrub Daddy.